This morning I received the email below, I’ll try to replace Highcharts with Google chart tools soon. It’s required that all code be compatible with GPL to be included in our directory. Highcharts and their add ons have been licensed Creative Commons. Plugins are closed immediately and the developer contacted when this happens, in part because we have an imperfect system of notifications. This means until your plugin is corrected to meet our guidelines, we will not reopen it. Once you have corrected the issue, checked the code into SVN, and increased your plugin’s version number, please reply and let us know. At that time we will re-review your code (not just the changes, but the entire plugin), so there may be a delay. Your plugin will not be re-opened until it is reviewed, and it won’t be reviewed until you reply to this email, so please do so as soon as you’ve corrected the issue(s). Sometimes happens to me to download an entire IMAP account, or even multiple IMAP account, on the field. This is an apparently easy task, but it’s time consuming. It might take even days with the commercial email clients and a slow internet connection. Generally I was used to download the account with MS Outlook (with the correct settings) or Thunderbird. These programs are mail client and they are not optimized to download evething fast, and they don’t have any progress bar who sows the total progress. Expecially MS Outlook download the mails in braches of 4GB and it’s almost impossible to guess how long will it takes. 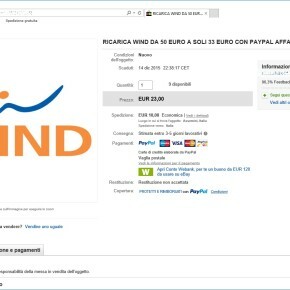 Vi racconto la mia esperienza con una ricarica Wind acquistata, a prezzo ridotto, su ebay. 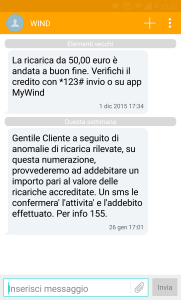 In data 01/12/2015 ho acquistato su ebay una ricarica wind da 50€ di traffico al costo di 33€. 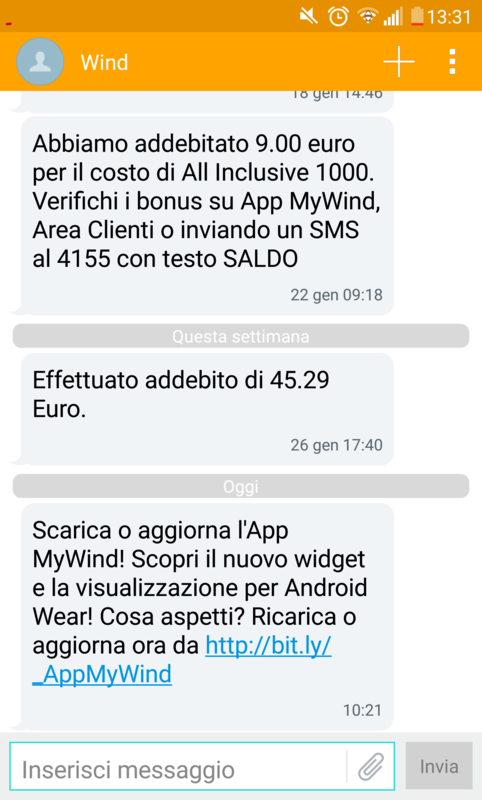 La ricarica è arrivata lo stesso giorno senza alcun problema. 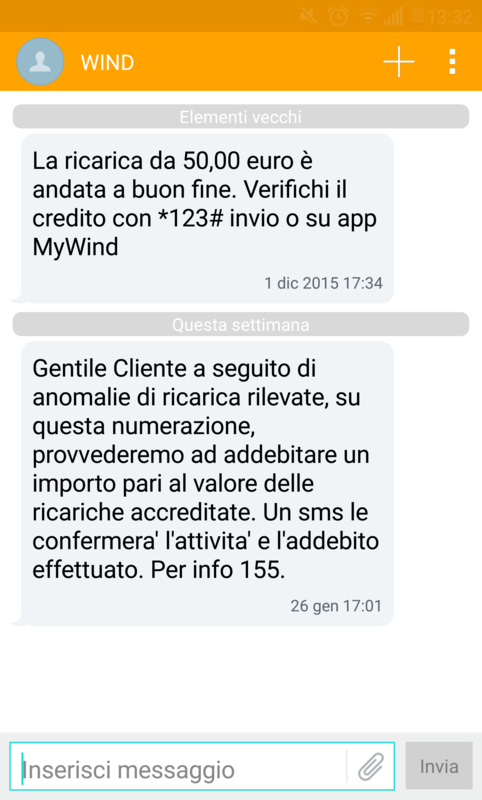 Gentile Cliente a seguito di anomalie di ricarica rilevate, su questa numerazione, provvederemo ad addebitare un importo pari al valore delle ricariche accreditate. 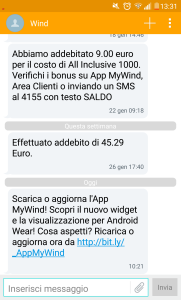 Un sms le confermera’ l’attivita’ e l’addebito. Per info 155. Personalmente non acquisterò più ricariche su ebay! 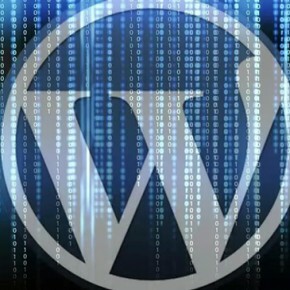 Thanks to MailPoet and Revolution Slider my websites run over multiple attaks. I noticed problems mainly because, when I enter in the plugins’ list, a lot of errors like “Plugin ABC deactivated..” come out. This because the plugin main file was not starting with its regular comment, but with the malevolent code. 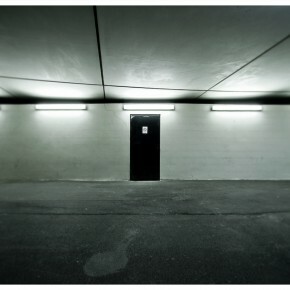 Tired of this haks I wrote a small .cs colsole for cleaning this files. Other websites suggest a .sh script but I’m a Windows user and I’d use its tools.